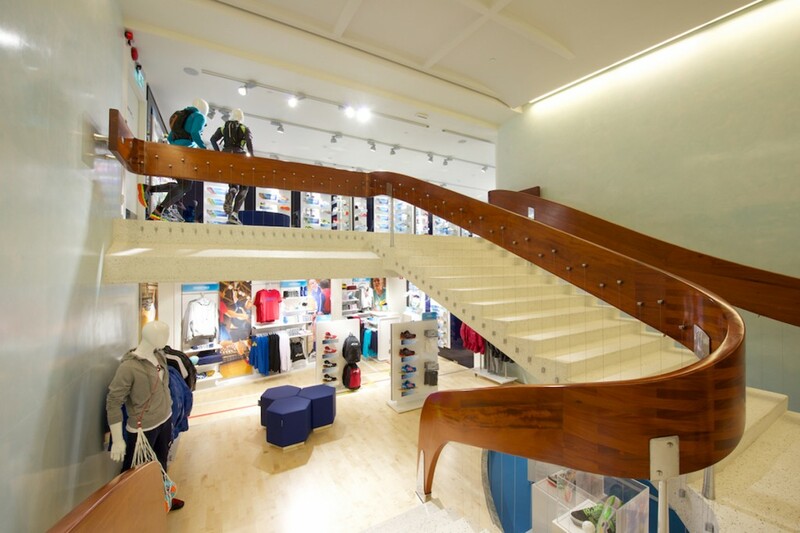 The Stockholm Flagship is within a building with listed elements and it was important to integrate a bright and vibrant lighting scheme as part of this. 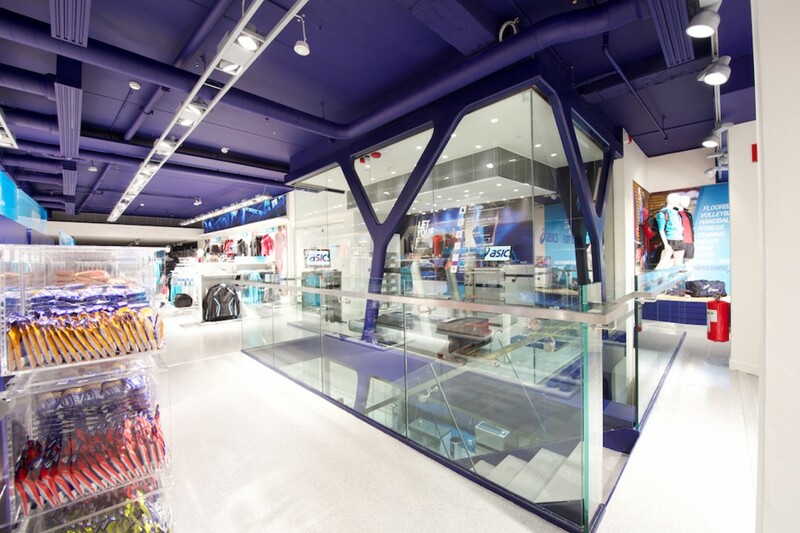 A running club is located inside ASICS flagship stores in Europe, and the aesthetic for this area must differentiate from the shop floor. The running club area is lit with 2700k warm white sources to create a comfortable and welcoming feel for members. 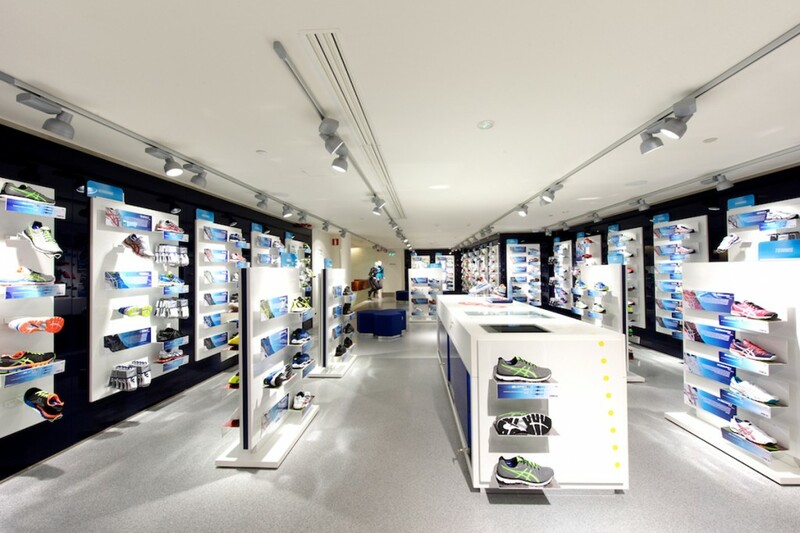 This contrasts with the accent lighting elsewhere throughout the store which has emphasis on the crisp appearance of the ASICS brand and into utilised 4000k ceramic metal-halide sources for a cool white light onto products. Track-mounted spotlights, rail-mounted gimbals and recessed downlights are all used for accent lighting for a focused light-effect, minimising excess lighting of floors. 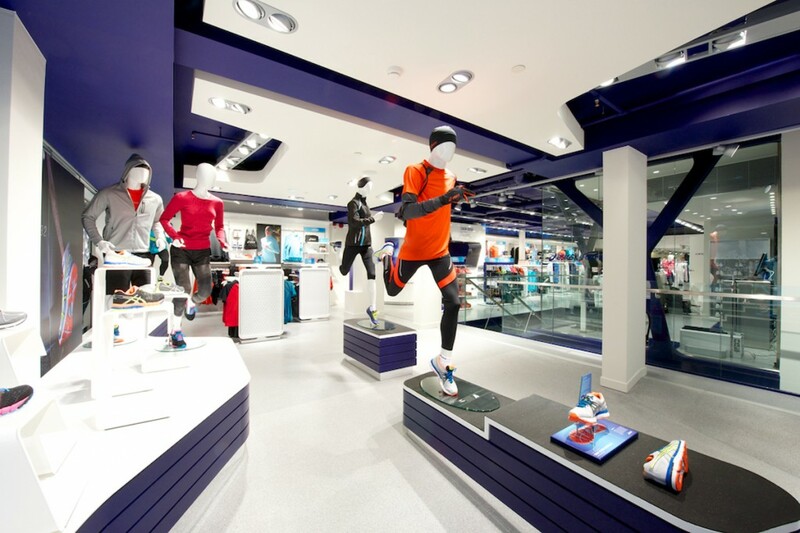 The main store areas are clearly differentiated from the running club area through a change in colour temperature from cool to warm. Overall lighting is in-line with the desired aesthetic for a standout Swedish flagship for the brand. 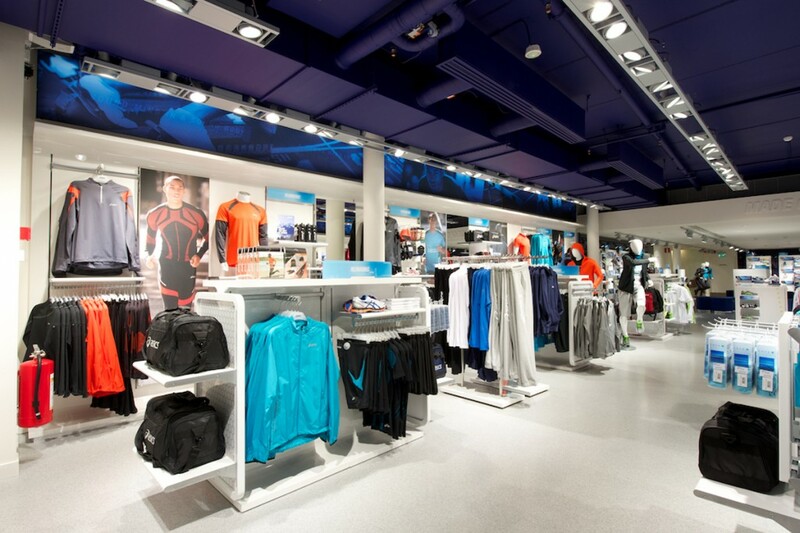 To date into have designed the lighting schemes for over 60 ASICS stores across 25 countries in Europe.